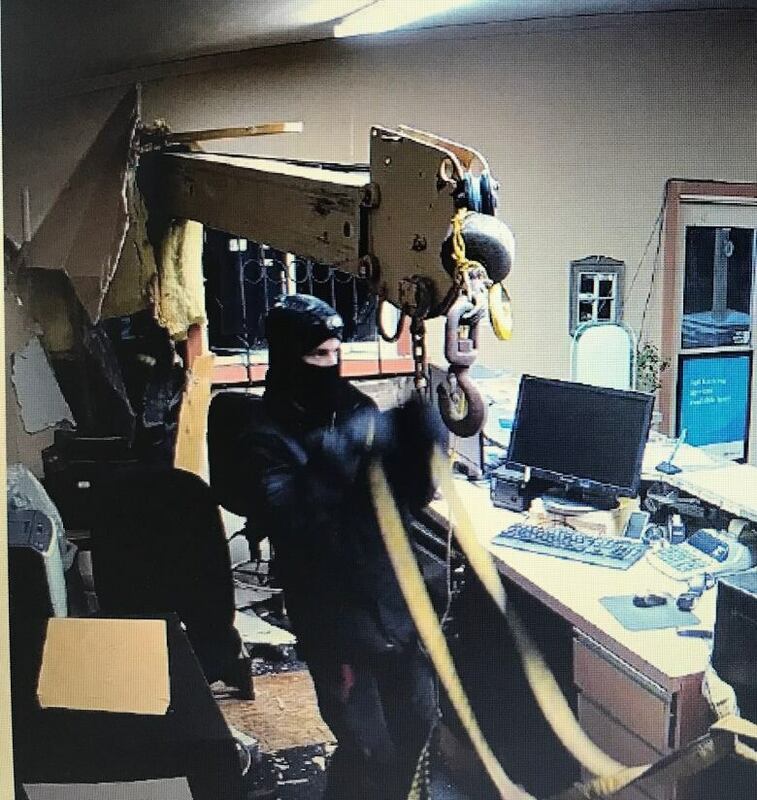 RCMP are investigating after thieves smashed their way inside an Alberta bank with the boom of a stolen picker truck. 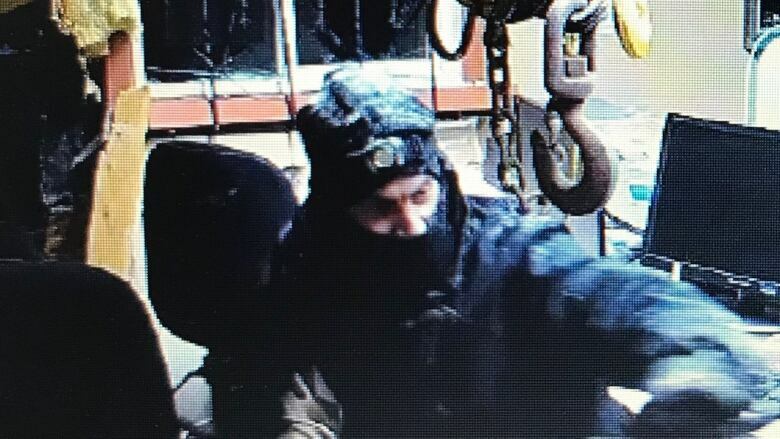 Around 3:30 a.m. Friday, two masked suspects made their way inside the Alberta Treasury Branch in Winfield, Alta. by smashing the crane arm of a boom truck through the front wall of the building, RCMP said in a news release. The suspects then used the picker truck to pull the bank safe out of the wall and drag it away. The suspects made off with the safe which had an undisclosed amount of cash inside. Surveillance images released by RCMP appear to show the suspects climbing through a gaping hole in the exterior wall of the bank. Another image shows one of the suspects attaching ropes to a large hook on the end of the crane arm. The suspects used a black Dodge Ram and a dark-coloured GMC pick-up as getaway vehicles, RCMP said. The bank building was extensively damaged during the break-in, RCMP said. Anyone with information on the crime is asked to contact RCMP or Crime Stoppers. Winfield is located in the County of Wetaskiwin, about 120 kilometres southwest of downtown Edmonton.